Edmond Léger, 78, of Saint-Paul, passed away peacefully, surrounded by his family, at the UHC Dr Geroges-L. Dumont, Saturday January 11, 2019. Born in Saint-Paul, he was the son of the late Johnny and the late Rose (Julien) Léger. 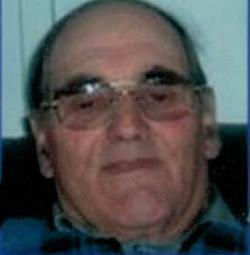 Edmond was known as a farmer and also as a security guard for Kent Peat Moss, Saint-Paul. He will be sadly missed by his ten siblings; Anna Maillet (Aldéo) of Ontario, Germaine Landry (Normand) of Memramcook, Aline Bedard (Jean-Paul) de Pierrefonds, QC, Jeanne Légere (Joe) de Moncton, Lucille LeBlanc (Adrien) of Saint-Antoine, Andréa Vallée (Clermont), Marianne Léger (Emile), Jean-Paul (Brenda), Aldéo (Micheline) all of Saint-Paul, Bernard of Ontario as well as several nephews and nieces. Visitations will be held at the Saint-Paul de Kent Roman Catholic Church, on Tuesday January 15, 2019 from 2 to 3:45 pm. Funeral Mass will be celebrated at the Saint-Paul-de-Kent Church on Tuesday January 15, 2019 at 4:00 pm with interment in the parish cemetery in the spring. In Edmond’s memory, donations may be made to the CHUDUMONT Foundation.